With every changing of the seasons comes new challenges and excitements. No matter what seasons you look forward to, not many of us look forward to the seasonal cleaning that comes along with it! There are many ways to add seasonal cleaning into your yearly routine, but a surefire way to get it done is to have it hired out to professional cleaning services that offer seasonal cleaning. You might be thinking that professional cleaning services are only for the wealthy, but many people today are realizing that seasonal cleaning is far more affordable than they had thought, especially when you account for the time it might take you to complete these tasks yourself. Seasonal cleaning is something that gives your home a fresh start with each season, and when done by a professional, a way to guarantee that it gets done on time and without procrastination. Another of the many advantages that come with hiring seasonal cleaning services is that you’ll be able to keep a clean and healthy space. There is so much dirt and grime tracked in during the outdoor months and then stuck inside with you during the colder months. Instead of living with the dirt through the fall, seasonal cleaning can help prepare your home for the longer winter months when colds and contagious issues spread. Instead of the constant nagging in the back of your mind about your spring cleaning turning into summer cleaning, why not have it done by professionals who can seasonally clean your home? 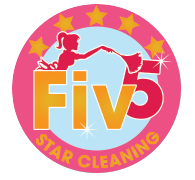 For expert help or to learn more about seasonal cleaning services, contact Fiv5 Star Cleaning today.